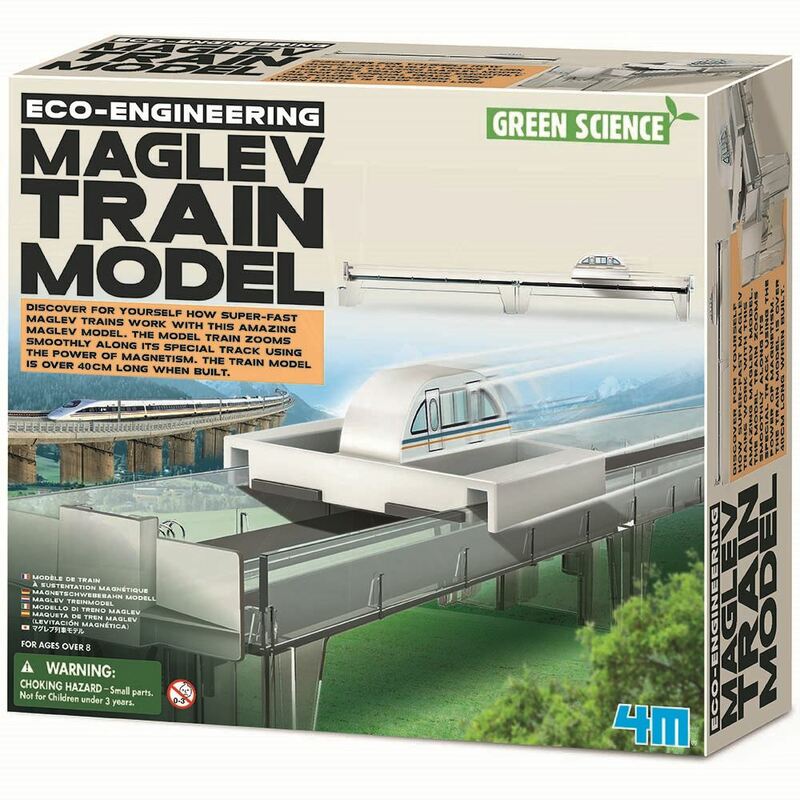 Discover how super-fast maglev trains work with this amazing 4M maglev model. The model train zooms smoothly along its special track using the power of magnetism. About 43cm in length once built. Includes: 2 track bases, 4 long strip magnets, accessories and detailed instructions. Age 8+ years. Part of the Eco-Engineering range. Distributed in New Zealand by Holdson.